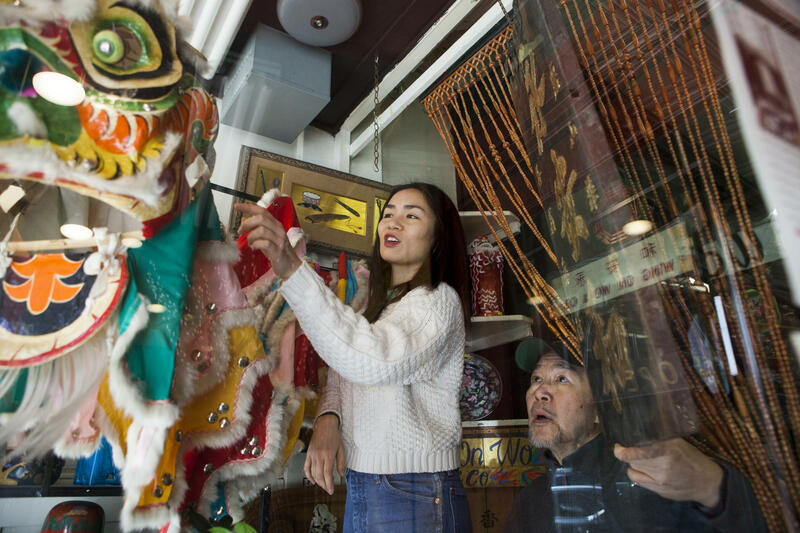 Gary Lum assists his daughter, Mei Lum, with decorating the storefront window at Wing on Wo & Co. for the Lunar New Year in the Chinatown neighborhood of New York City. The family imported the unique handmade lion-head dance costume from Hong Kong nearly 50 years ago. 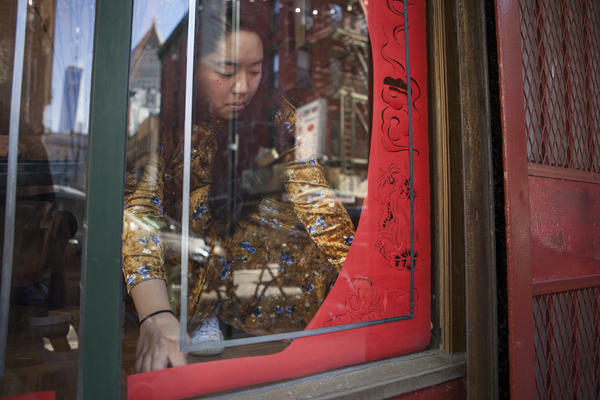 Artist Emily Mock installs a paper-cut display at Wing on Wo & Co.'s storefront window. 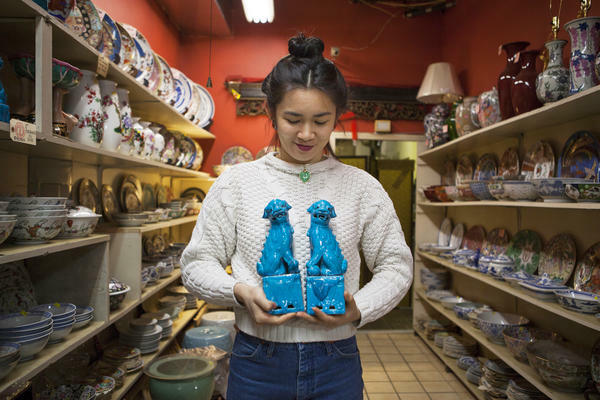 Mei Lum holds a pair of iconic Fu Dogs in a discontinued turquoise glaze from Jingdezhen, China. Mei put grad school plans on hold to take over her family's business. 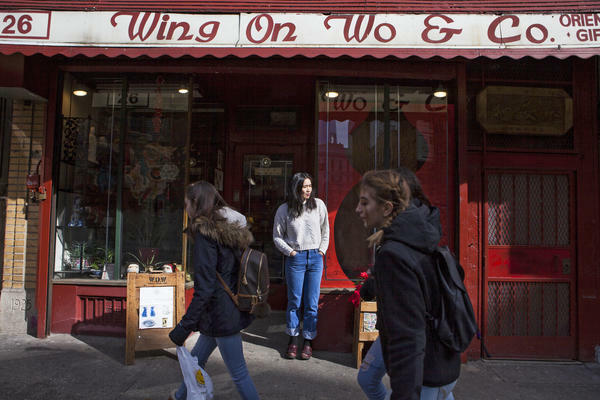 Wing On Wong & Co. is one of the oldest shops in New York City's Chinatown. 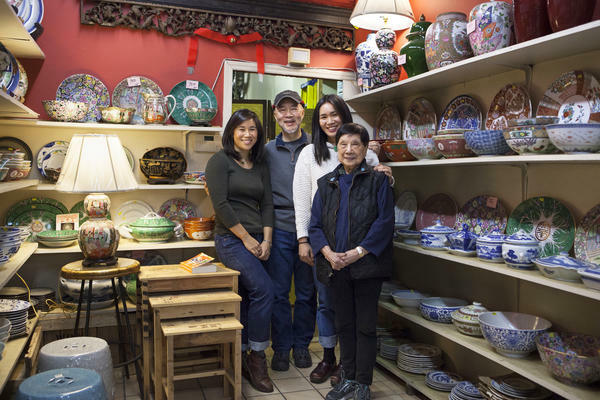 Mei Lum's grandmother, Nancy Seid (left), inherited the shop from her father. Founded in the 1890's, Wing on Wo & Co. is the longest-running family retail business in Chinatown. Mei's father, Gary Lum, adjusts new and antique items. Three generations — Mei's sister Lina (left), her father Gary, Mei and her grandmother Nancy— help run Wing On Wo. Mei Lum is the founder and director of the W.O.W Project, an initiative that cultivates Chinatown's creative culture through arts, culture and activism. And tomorrow, the first day of the new year, they'll gather again to devour the steamed cake, faht go, that Lum makes with her grandmother, Nancy Seid, special for the holiday. This time around, though, things will be different. In New York City, as in Chinatowns around the country, things are looking different: it's gentrifying. There are more non-Chinese people moving in and starting new businesses. And, people like Lum who grew up in this neighborhood with families four or five generations deep, are leaving. 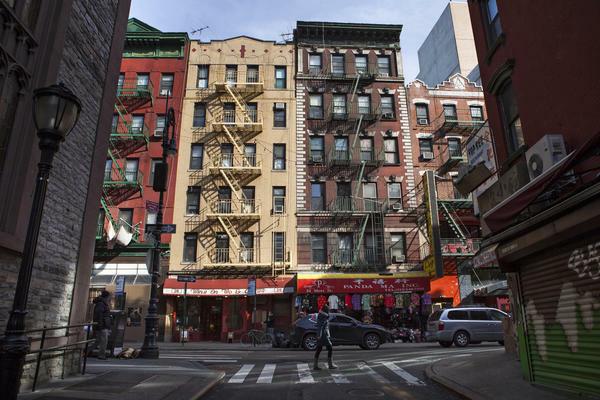 A section of Manhattan that was once almost exclusively Chinese now has new, different faces with no connection to the area. Lum says, some of those Chinese-Americans who do return to their family's neighborhood are opening up stores much different than those run by their parents: Though their moves home help stave off demographic change, they're starting ice cream stores and coffee shops that have little to do with the area's history. In other words: They're changing Chinatown whether they intend to or not. Mei Lum is pushing back against that trend. She's taken over Wing on Wo & Co. — one of the oldest shops in the neighborhood — and she's trying to root her own traditions without eroding older ones. And how she's decorating the store's two front window displays for the new year exemplifies that. For the past year, Lum has worked with a local artist, Emily Mock, to create their own Chinese shadow puppet show. They've invited people from around the neighborhood to share their stories and help make paper-cut puppets and plays, which Mock has recorded and will project in the front window. But the new display doesn't mean Lum will do away with the one her family's used for years. "We're still putting up the same dragon and same moneyball and firecrackers that we do every single year," Lum says. Every year since Lum's grandmother, Nancy, inherited the store from her father in 1964. "If I were to take away that tradition from my grandmother and my great aunt, they would be so upset." A year and a half ago, Lum's grandparents, Nancy and Shuck Seid, decided to sell the shop. Wing On Wo & Co., had been a neighborhood fixture since the 1890s, spanning four generations of the family. At various points, it sold herbs, roast pig, and was a general store and gathering spot for Chinatown's residents. In recent years, it specialized in porcelain vases, tea sets and figurines from Hong Kong. But Nancy and Shuck were getting older. And though they'd be parting with a Chinatown landmark, the neighborhood was gentrifying, and developers were tearing down old structures and replacing them with shiny office or condo buildings. Selling their Mott Street property could mean financial security for many more generations. Lum didn't want that to happen. So she put grad school at Columbia University on hold and took over the store. "My great-grandfather and my grandmother — I've seen all the sweat equity that has gone into this place," Lum says. "The whole reason why I signed up for this — I go back to this continuously to remind myself — is because I wanted to preserve my family's legacy, and to continue that." 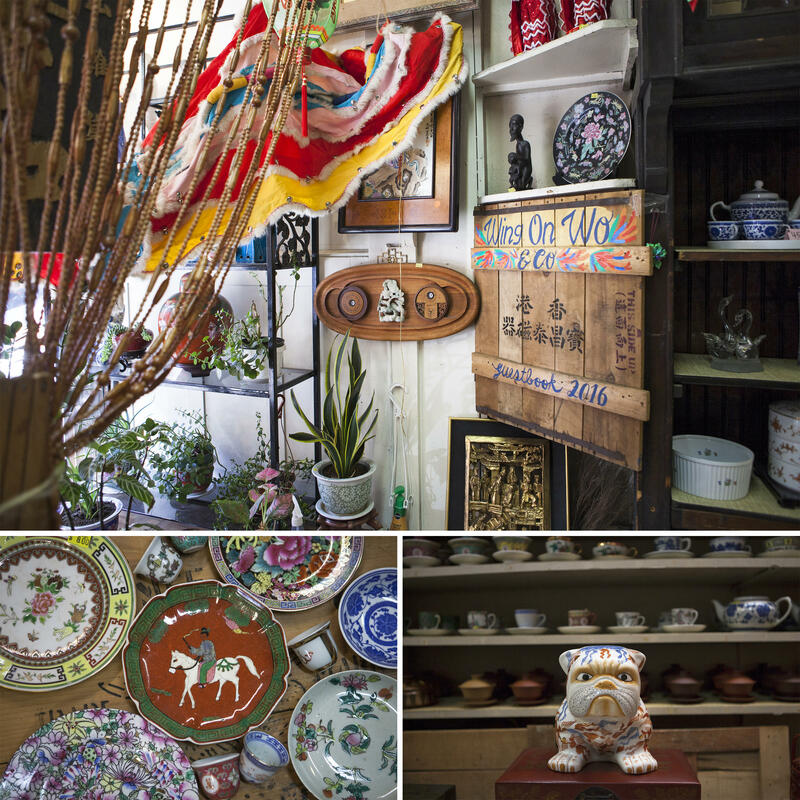 Lum has no interest, though, in preserving the store as some kind of museum of Chinatown. She wants it to thrive and change with the neighborhood. And so she sees more than a porcelain store: Her goal is to return Wing on Wo & Co., to its roots as a place for people to gather and learn from one another. She's hosted film screenings about the Chinese diaspora, art workshops and discussions around affordable housing and generational differences. She calls all this the W.O.W. Project. "The store was very much a launching pad for me and was a place that I could kind of ... [get] to know myself exploring my identity," Lum says. As she tells it, Lum has always been the most filial grandkid in her family. She's the one who memorized the Chinese poems her grandfather, Shuck, insisted she learn as a young kid. And when he proudly asked her to recite the poems for friends who were visiting the store, Lum would rattle off the verses in Cantonese without missing a beat. After all, if nobody else memorized her grandfather's poems, and nobody else stepped up to take over the family's legacy, who else would? She knows she's taking a risk in all this — Chinatown is changing fast and Lum's vision might not fit into this new world. "My dad always says, growing up in Chinatown, he'd walk down the streets and feel like, 'This is my Chinatown,' " Lum explains. These days, Chinatown sometimes doesn't feel like it's hers. But it's not just about her, and not about preserving something that no longer exists. It's about making something new. 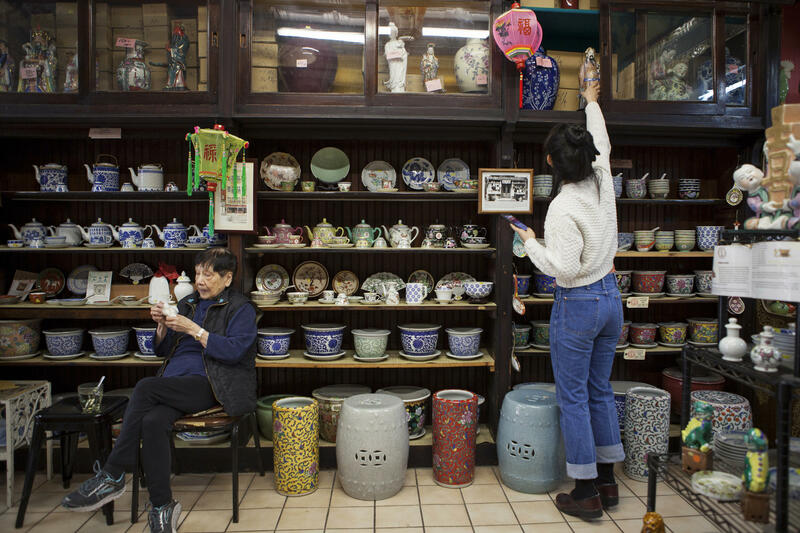 "I try not to think of it like, 'I'm the fifth generation, I'm carrying all these generations, this is the oldest store in Chinatown,' because it's not productive."